CONSOLE : AMEK ANGELA BLUE 36 canali , 24 bus , 6 aux, 72 mix in line. 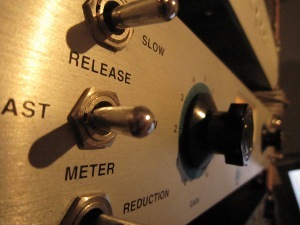 ANALOG RECORDERS : STUDER A80 MKI 16 TRACK 2", STUDER B67 MASTER RECORDER 1/4"
BBE stereo Sonic Maximizer . DRUM : DW PERFORMANCE , TAMA ROCKSTAR , MAPEX M PRO . CABINET MARSHALL 1960 GREENBACK , CABINET MARSHALL 1960 VINTAGE 30 , CABINET MARSHALL 1984 BASS SERIES . CABINET AUDIOPHILE 500 4 X 10. STAGE PHASER , BOSS PS 5 , BOSS DS 2 , BOSS BF 2 , MARSHALL VT 1 , VINTAGE EH BIG MUFF , DEATH BY AUDIO ROBOT .